Cruise the Norwegian fjords - What you should know! Cruise the Norwegian Fjords: What you should know! You are here: Home / Cruise the Norwegian Fjords: What you should know! 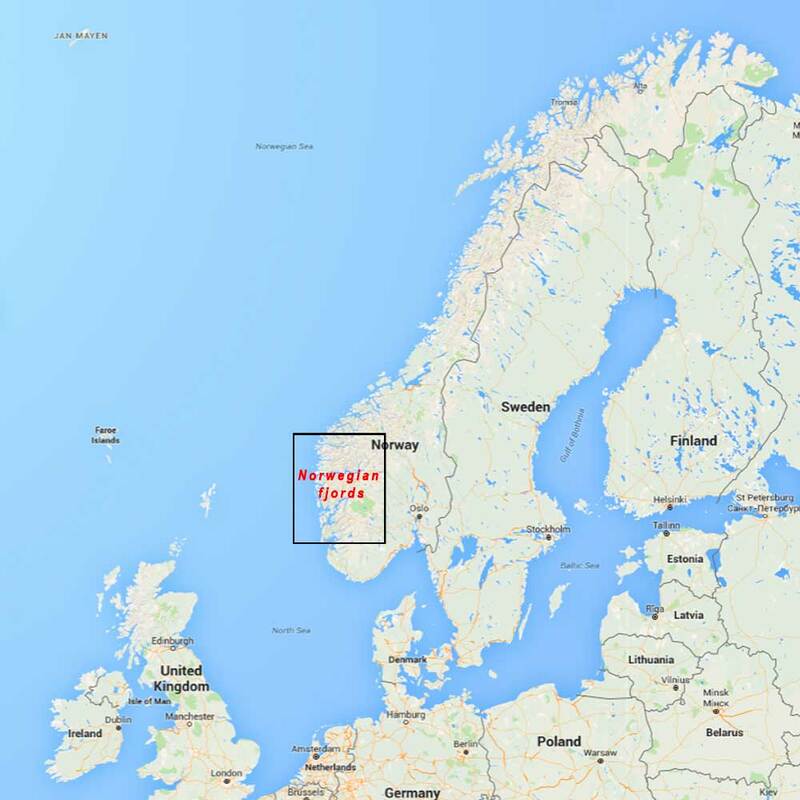 Where are the Norwegian fjords? When we refer to the Norwegian fjords we mean the Geological form of it. Most people think Geological fjords can be found all over Norway, but this actually isn’t true. Although fjords can be found all along the coastline of Norway, the true Norwegian fjords can only be found in west / south Norway. See map that marks the area. Most ports of call that are not located directly at sea are situated in a fjord. Most of them are in between Stavanger (south) and Molde (north). One week cruises often have at least one of the Norwegian fjords on their itinerary. 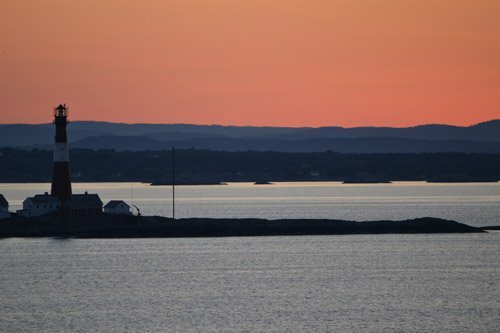 Two week cruises often visit south / west Norway (the Norwegian fjords) and even go further up North to the North Cape and Honningsvag. The Norwegian fjords are one of the best cruise destinations in the world. If you come well prepared, you will have the best experience! 1. Proper clothing: Most cruise lines visit Norway in the summer season. This is simply the best time to go because temperatures quickly drop during autumn, winter and spring. But still, good weather is not guaranteed. The Norwegian fjords are known for having 4 seasons in a day. Dress to the occasion. Always check the weather report in your daily program on board and make sure to dress in layers. Binoculars: Wildlife in Norway is not as abundant as in Alaska. You might have a hard time spotting any at all. Therefore, we highly recommend you to bring your binoculars. Especially in the fjords you might be able to spot some marine wildlife. 2. Bring small coins: When going to Norway by cruise ship it is wise to bring local currency. Norway has the Norwegian Kroner. Keep in mind this is an expensive country. We recommend you to bring coins, because they can give you access to public toilets and are great to have at hand when buying a post card or cup of coffee. 3. Booking tours: We all known shore excursions on board will offer tours in all the ports of call. We also known they are often much more expensive than tour offered by local operators. The tourist information points in Norway offer great service and often also organising tours themselves. Best thing of all; most can be booked online before you leave home. Visit the cruise port guides for Norway and try to see if your tour is also offered through the tourist information. Keep in mind though that in a tender port (like Geiranger for example) you might want to stick with the ships tour in risk of not getting off the ship in time for your tour as the ship tours alway have priority to independents. 4. 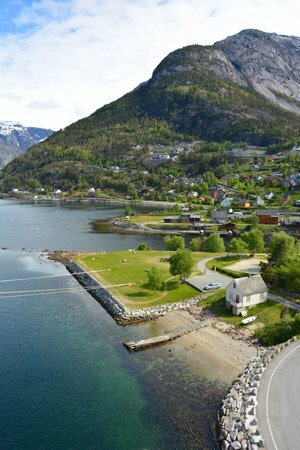 Local ferries: If you simply can’t get enough of sailing the Norwegian fjords you might want to consider to take a ferry across to other nearby villages in addition to your cruise ship that will sail the fjord as well. 5. App for Northern lights: Some people think a summer cruise to Norway is a guarantee to see the Northern lights (true story). It is not! Summertime is not the time to see northern lights. Ingredients you need to see this beautiful phenomenon: active northern lights, clear sky and darkness. That last point is obviously the problem when you take a cruise to the Norwegian fjords. During most of these cruises you will only experience of couple of hours of darkness. However, because you have a couple of hours of darkness you might get lucky. Keep the weather forecast, sunrise hours in mind and download a Northern lights app (Northern Lights Aurora alert or My Aurora Forecast) to see if it going to be active. These apps are able to predict and alert you about Northern Lights. There is a small chance you will be able to see it, but if it comes up, at least you’ll be the one to know about it. Please also understand the further up north you are, the better your chances are. 6. Maps.me app. There is this great app that you can put on your tablet of smartphone called Maps.me. It allows you to download the entire map of Norway (or other countries) and access it even if you are not online. You can mark certain locations and also see what your location is on the map. Make sure to download it before you start your cruise. It is a great source of information as your ship is navigating the Norwegian fjords. Port of call Geiranger. Cruise destination Geiranger offers the best experience of all Norwegian fjords. No matter the weather, you will have an incredible experience when your ship is about to arrive in port. This is not just a simple personal opinion, because this is the only fjord that, together with the Naeroyfjord, is listed as a UNESCO world heritage site. This is simply because of the fjords dramatic walls and impressive waterfalls. 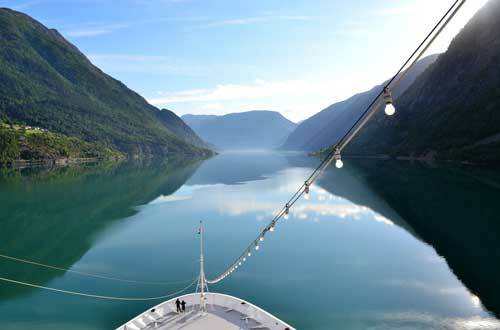 Before your ship will reach the port of Geiranger you will need to sail the Norwegian fjords for approximately 5 hours. The last part of the journey, closest to Geiranger, is without doubt the most scenic part. We highly recommend you to be on the outside deck an hour before you arrive in Geiranger and the first hour after your departure. This way you will experience the best and most scenic part of the fjords. Your ship will sail past the well known 7 sisters waterfall, the suitor and bridal veil waterfall. 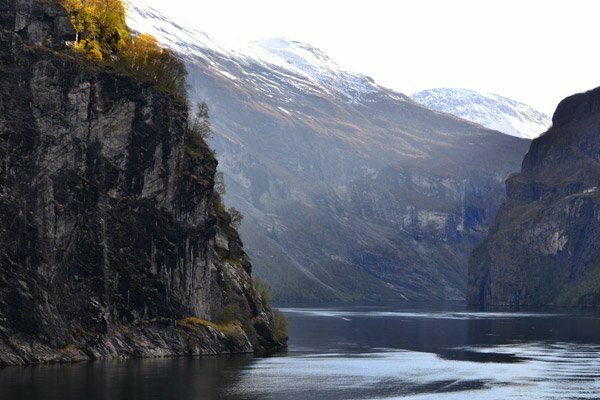 Read our Geiranger Scenic Cruising Guide to find out all there is to see along the way. Port of call Flam: Flam is not just known as a cruise destination, but also because it the start and end point of one of the most scenic train journeys in the world. We, however, put Flam on the list as being one of the best ports of call to have on your cruise itinerary if you want to experience the Norwegian fjords. 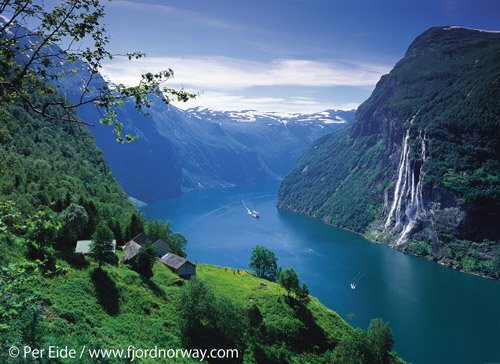 Your ship will sail up the Sognefjord which is the largest fjord in Norway and the second longest in the world. It takes approximately 7 to 8 hours for your ship to sail from open sea all the way up to the small village of Flam all the way at the end of the fjord. 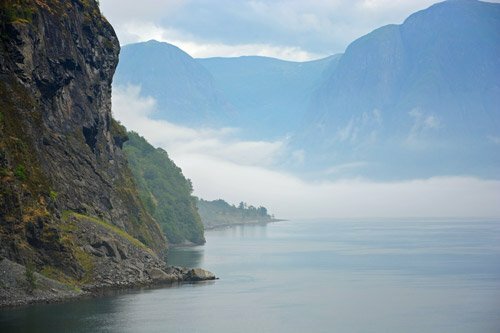 Read our Sognefjord Scenic Cruise Guide to learn what there is to see along the way. Port of call Eidfjord: Eidfjord is also a small village in Norway. It is known for being the Gateway to the Hardangervidda National Park. To be able to reach the small fjord village of Eidfjord your ship will need to sail up the Hardangerfjord. This is the 2nd longest in Norway and has the nickname “Queen of the fjords” because of its beauty. The closer your ship is to Eidfjord the more beautiful the fjord will get. Make sure to be on the outside deck when you arrive and right after you depart. Enjoy the Norwegian landscape at its best! We hope you find this information useful in your search for the best cruise to the Norwegian fjords. Use our cruise port guides to learn what to see and do in these incredible places and how to make the most out of your day ashore! Cruise Crocodile is the ultimate Cruise Port Guide. All guides are written by Olivia who travelled the world by cruise ship. She now shares her years of experience in the cruise industry with you! Let us know what you think! Feedback and questions are always welcome!